VOX Cinemas is now the Middle East’s largest and most rapidly growing cinema exhibitor, featuring 182 screens within 16 cinema complexes across the region. Krix are proud to be long standing partners with VOX, bringing high quality cinema sound to patrons in the United Arab Emirates, Lebanon and Oman. The ‘Outdoor Cinema’ concept required custom screen speakers and subwoofers to blend with the rooftop design. The results, both visually and acoustically are out of this world – time to book some flights! 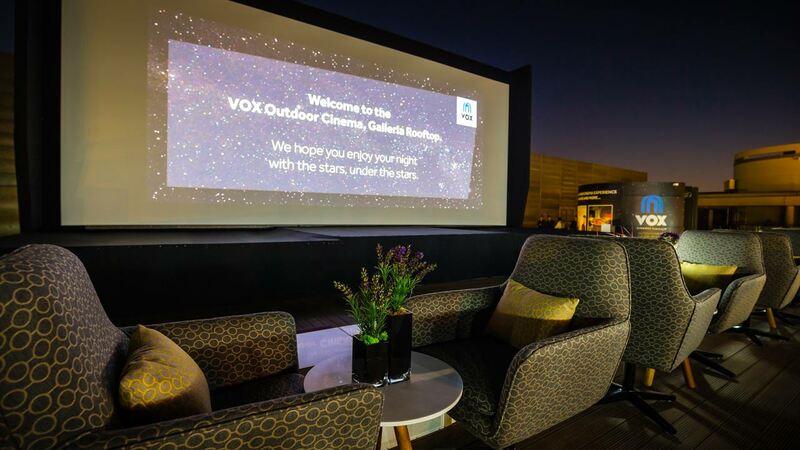 Dubai, 2 March 2016: Majid Al Futtaim Cinemas, the dedicated cinema arm of Majid Al Futtaim, the leading shopping mall, retail and leisure pioneer across the Middle East and North Africa, today announced the opening of its latest concept ‘OUTDOOR’, the first open air VOX Cinemas in the region. 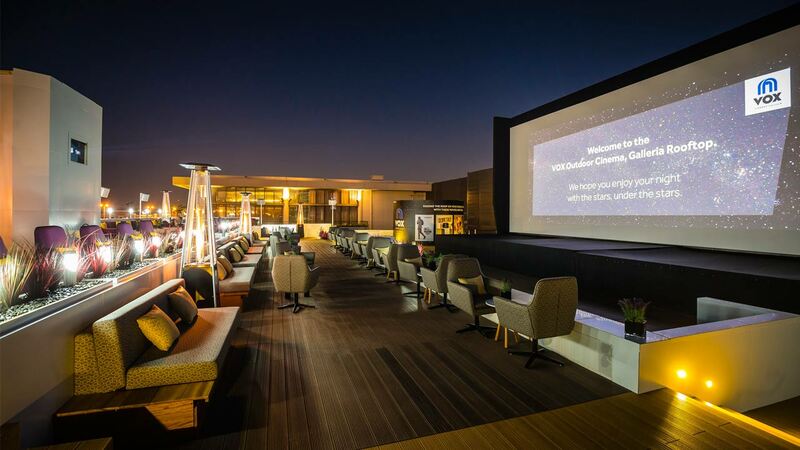 Located on the rooftop of the Galleria Mall on Al Wasl Road in Dubai, the new outdoor cinema will offer movie fans the chance to enjoy the best and latest in movie entertainment under the stars. Consistently exceeding customer’s expectations with tailored movie experiences is something that VOX has gained a reputation for, and the newest ‘OUTDOOR’ concept to be added to the successful family of VOX brands will be no different. ‘OUTDOOR’ is the first of many cinemas that will be introduced by VOX in iconic open air locations throughout the UAE. The first ‘OUTDOOR’ cinema towers high above Galleria Mall with a magnificent view of Dubai’s Burj Khalifa and Burj Al Arab with a capacity to host up to 111. Screenings are scheduled to take place until the end of Dubai’s winter season in April, hosting sessions from 8pm onwards throughout the week. With the perfect winter breeze finally settling in on Dubai, movie fans can bundle up with VOX Cinemas’ blankets and enjoy the fresh air while watching the latest movie blockbusters straight from Hollywood. Boasting one of VOX Cinemas’ high-resolution digital projection system, immersive Dolby 7.1 multidimensional, the rooftop cinema will deliver the crystal clear visual experience and outstanding surround sound VOX is known for. Guests also have the choice of using VOX Cinemas’ headphones for a completely immersive experience. Movie goers can nestle into comfortable lounge style seating and enjoy a combo of traditional cinema snacks including soft drinks, flavoured popcorn, and a selection of confectionary items. Guests can also choose to order from a variety of F&B options offered by Galleria Mall should the fresh air build up their appetites. Once orders are placed, restaurants located at the lower level of the mall such as Taste of Italy and Home Bakery will deliver food directly to the guests’ tables on the rooftop throughout the movie session.